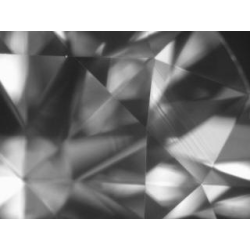 This is not going to start out as organized as I'd like but we'll be featuring every type of imperfection that can exist in diamond, showing you how it's plot looks on a lab report and how the actual inclusion looks like under a gemological microscope. 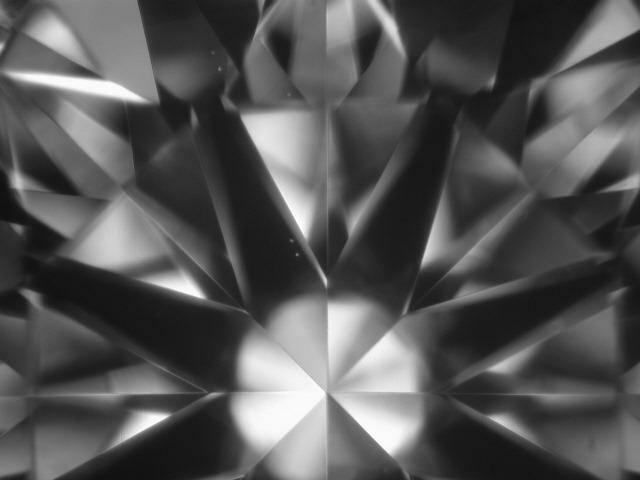 Included crystals can vary in size, shape and color and are found in clarity grades from VVS2 to I3. Most common are olivine crystals which are colorless in appearance. In this very unique circumstance we have an included olivine crystal and within that is a garnet crystal. This first picture taken at approx 13x reveals 5 included crystals in all. Zooming in on the top 2 crystals (50x) reveals the larger has an extra surprise. 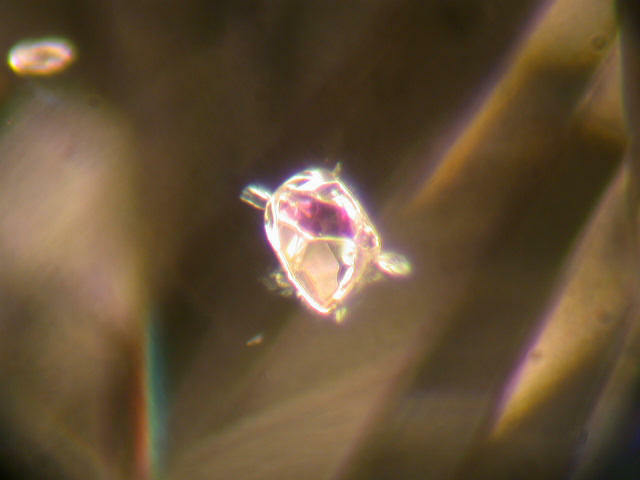 A distinct reddish pink garnet is embedded within the larger crystal. Kinda cool huh? That's 3 rocks there for the price of one! The last 2 pics are taken at 63x.  Pinpoint inclusions can be found in any clarity grade but in the highest grades and particularly the VVS grades are the "clarity graders" meaning that a pinpoint inclusion will be the thing that separates the VVS1 from the IF. 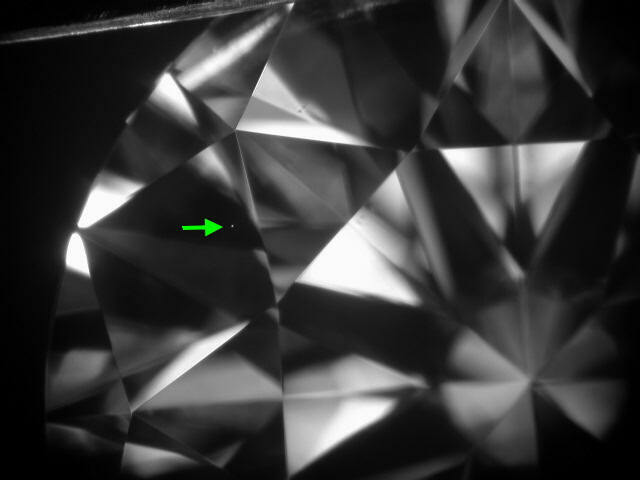 In the first example of a VS1 we see a pinpoint inclusion located at the bottom of the diamond and we can also observe it's reflection in the facet that it is near. You'll see this more clearly in the zoom. In this 2nd example of a VVS2 we can make out the pinpoint in the bezel facet. 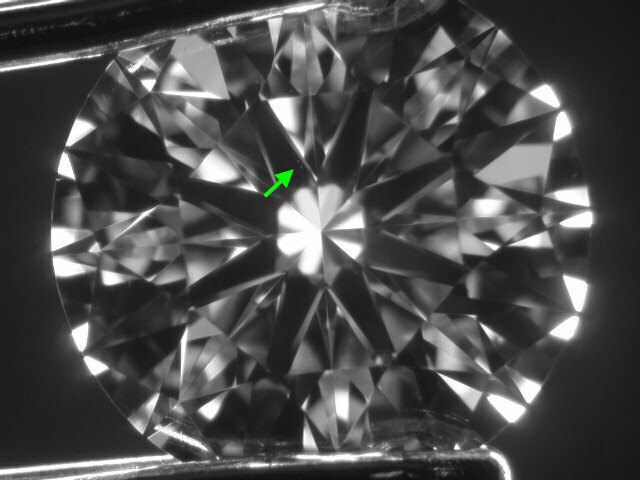 This is a type of imperfection that is generally not plotted on a GIA Report and can exist in IF and VVS diamonds without affecting it's clarity grade. What can separate an IF from a VVS is if the graining is colored. 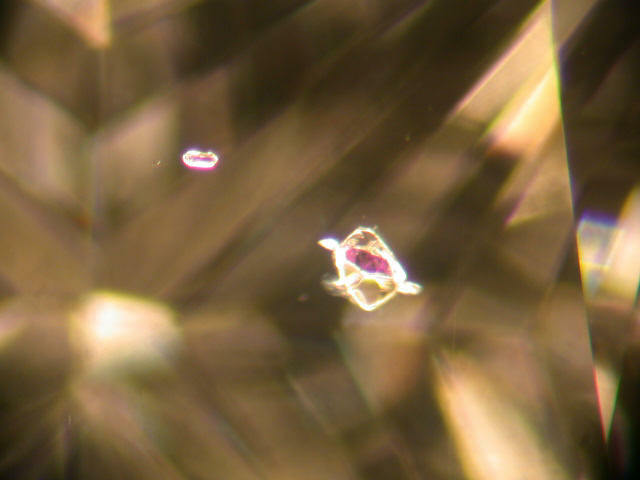 When viewing surface graining under a gemological microscope it can best be described as observing a fishing line as it is laying on the water. It is barely visible but can be seen. 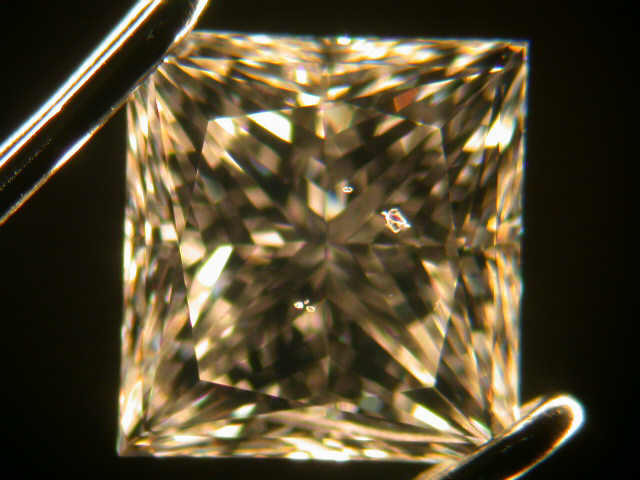 Here are some shots of surface graining in a VVS2 clarity diamond. The grain line runs from the upper girdle facet, across the edge of the bezel facet and onto the star facet. All diamonds have graining. 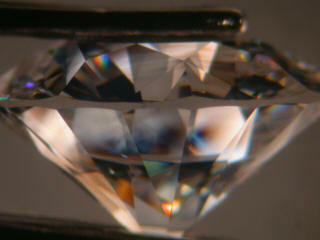 A diamond that's an IF can have internal graining and as long as it's transparent will not affect the clarity grade. If the grain lines take on a color (ie. brown) or a color that is different than the diamond it can cause that IF to go to a VVS1. 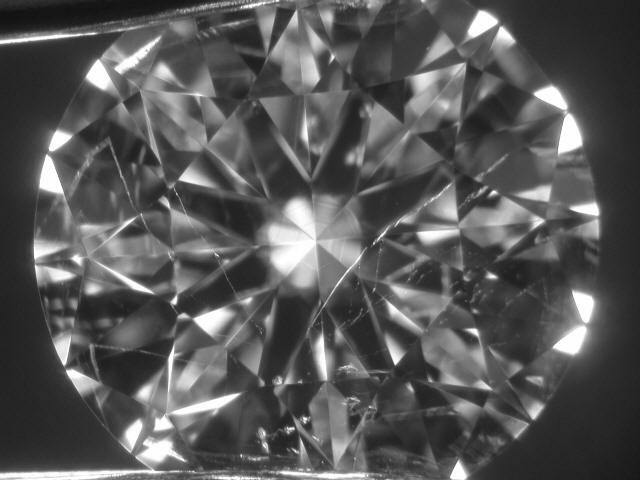 So this type of "imperfection" if you want to call it that is a natural part of the crystal structure and can be found in every clarity grade.  It can also be the cause for a diamond not getting the highest polish grade (as polishing against the grain can cause the diamond not to adhere to the highest grade of polish). 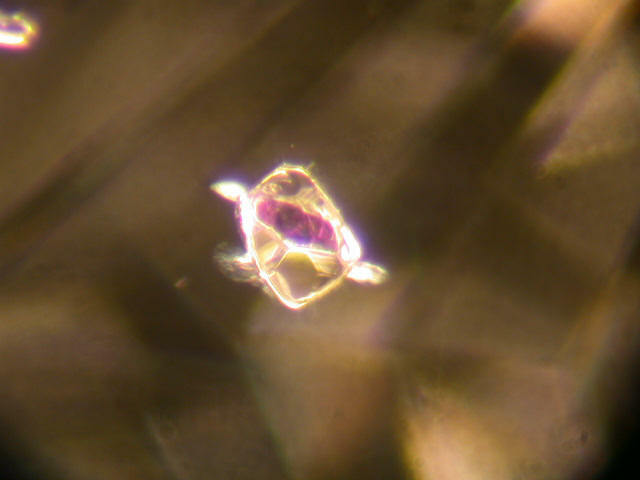 In this pic below captured under 30x magnification you can clearly see the grain lines particularly in the kite or bezel facet. 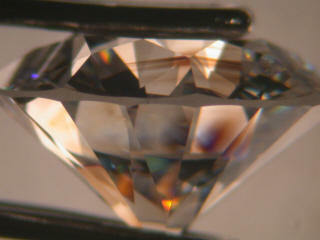 The graining was such in this diamond (a VS1) that GIA noted it on their report under the comments. Here's the same picture taken in color. 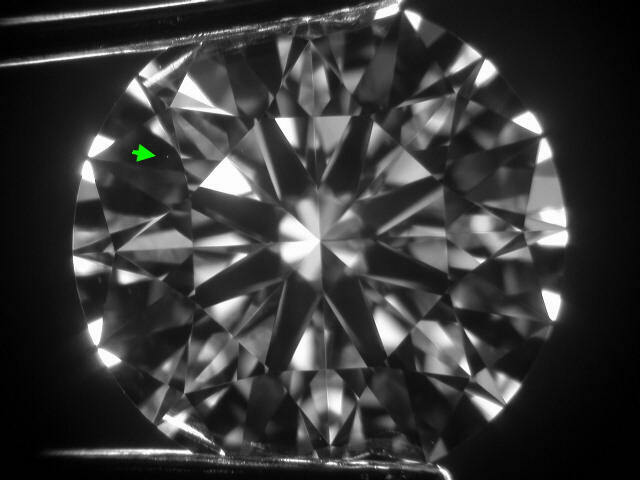 You can plainly see that the grain lines are darker than the diamond and was a contributing factor in the clarity grade. 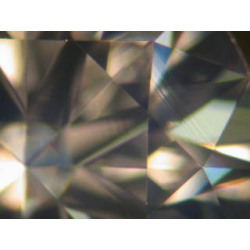 What is usually found in diamonds with a certain amount of noticeable grain is that these diamonds will also feature something referred to as internal strain. 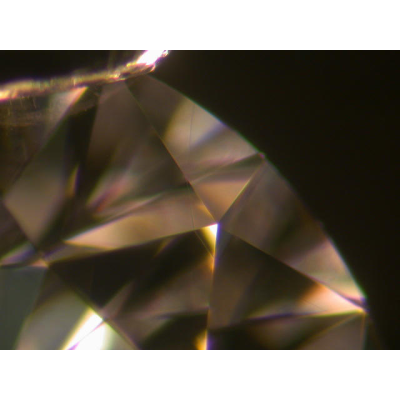 The diamond above when observed under a polarizing filter will exhibit this internal strain which we've captured on film. In this pic below taken under a polarizing filter we can see more clearly the grain lines in the crown and also the internal strain in the pavilion (or bottom of the stone). The 2nd pic is taken with a slight rotation of the filter. 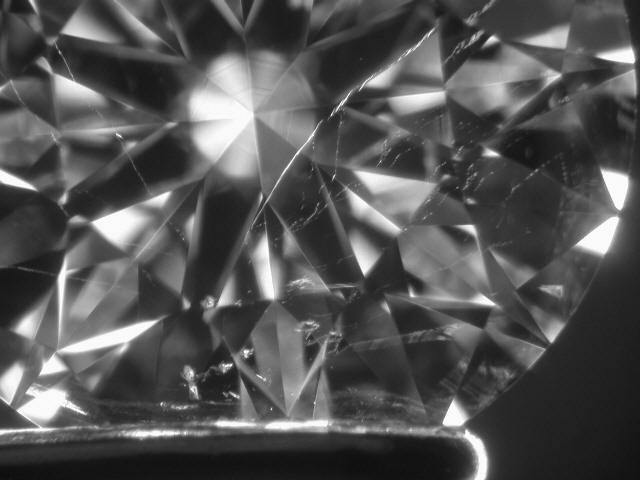 There are debates in the industry concerning the issue of strain within diamonds and whether or not it affects the durability of the diamond in question.  While some are concerned the general consensus is that the "cutter" is the one who should be of more concern than anyone since he will be subjecting the diamond crystal to further heat and pressure and cutters often negotiate cheaper prices on rough crystals with noticeable strain. 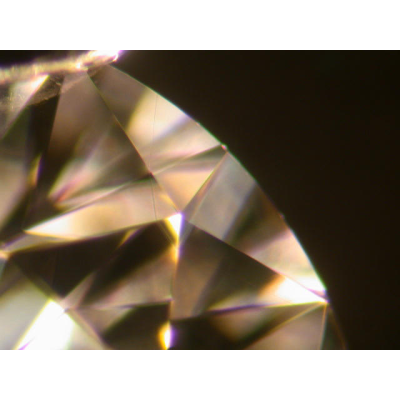 However, after the diamond has been safely cut, the diamond, in essence has endured the most tremendous heat and pressure it ever will and that any wear or tear a person will put on the diamond in the course of "wearing it" should not be as concerned as the cutter who put the stone through more heat and pressure. If you think you can see those inclusions with the human eye think again. Here it is under overhead fluorescent lighting under a microscope! See how they disappear? 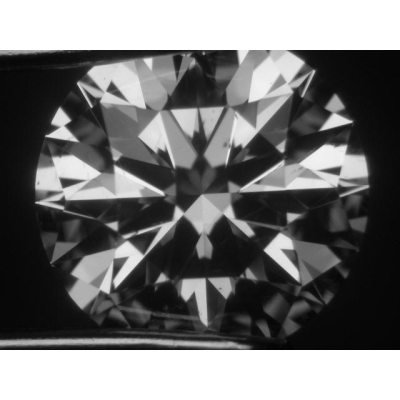 Thank you for completing our tutorial on Diamond Clarity. Now lets move on to Diamond Cut page.